Bethesda Restaurant Week is here again! 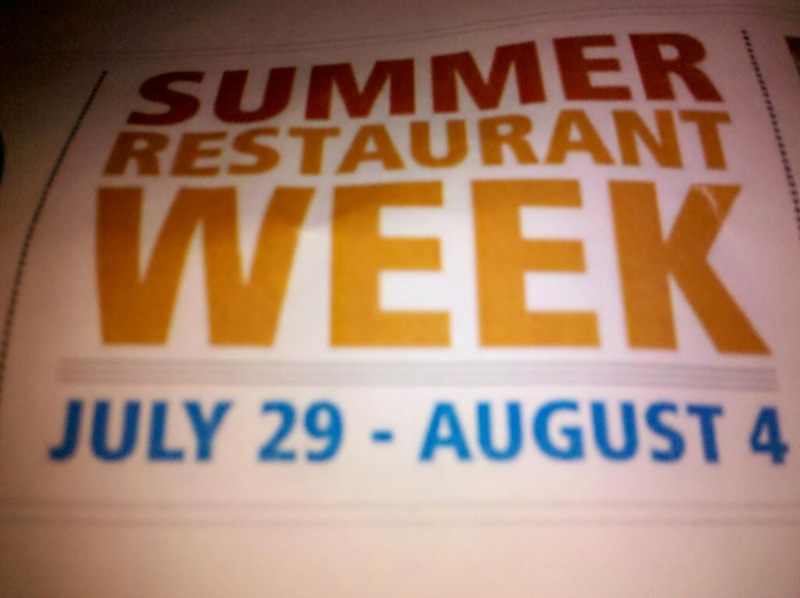 Bethesda-Chevy Chase Summer Restaurant Week is Monday, July 29 to Sunday, August 4, 2013. The official website has the full list of participating restaurants. Yesterday, Lebanese Taverna hosted a restaurant week kickoff event at Bethesda Row. I always say that the patio outside of Lebanese Taverna is the best-smelling corner in downtown Bethesda. The wonderful aromas drifting out of the restaurant certainly entice you to go in, even if you are a tourist not familiar with the local Lebanese Taverna chain. As you will see (or just saw) in the video, Chef Jeff Heineman of Grapeseed on Cordell Avenue is the chair of this year's BCC Restaurant Week Committee. And that's been a Herculean task, as the entity behind previous years' events has stepped down. Fortunately, the Restaurant Association of Maryland has stepped in to produce this year's restaurant week. And reliable local sponsors like EagleBank, Grapeseed and Bethesda Magazine have joined Friends of Restaurant Week BCC Chamber of Commerce, Bethesda Urban Partnership, the NIH and NOAA Recreation and Welfare Association, Metromedia Energy and Congressional Seafood Company to ensure a successful event. 2-course lunches will be $12 or $16, and 3-course dinners $33. Best of all, a portion of the proceeds will go to wounded service members and their families, through the Yellow Ribbon Fund. Speaking of ribbons, there was a ribbon cutting yesterday to mark the one-week countdown to BCC Restaurant Week. Delegate Bill Frick (D-District 16), a 2014 candidate for Maryland Attorney General, was on hand to assist, as was Ginanne Italiano, president of the BCC Chamber of Commerce. Participants around Bethesda Row include Assaggi, Jaleo, Lebanese Taverna, Mon Ami Gabi, Nest Cafe (on the EuroMotorcars block of Bethesda Avenue), Newton's Table, Raku, and Redwood. Further afield additions include the new-and-already-award-winning Quench in the Traville Gateway area of Rockville, and the fabulous Brio Tuscan Grille in White Flint. Start planning now, as this is a chance to try many top Bethesda restaurants for far less than the usual prices. Stay tuned here and on Twitter at @RockvilleNights, as additional restaurants join the Restaurant Week list.